Magigoo is totally odourless. You won’t be bothered by any strong smell; be it in a closed room or educational workshop with kids. Its odourless property makes it more enjoyable and practical to use. The unique formula of Magigoo makes it safe to use for intended purpose. if there is skin contact just rinse with water and you will not transform into any kind of monster. Applying Magigoo is as easy as child's play. Just shake it like you mean it, press the nib against the build plate to get Magigoo flowing and spread it in a thin even layer. Spread on the active printing area only. No need to cover the whole surface. 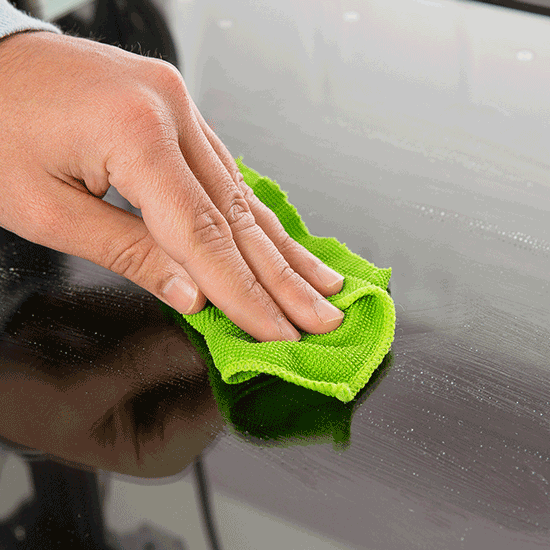 Magigoo is easily cleaned with water - the most universal and easily attainable of solvents! Yes, really, WATER. After each print the build plate should be cleaned using a damp cloth. This will remove excess build-up of Magigoo. 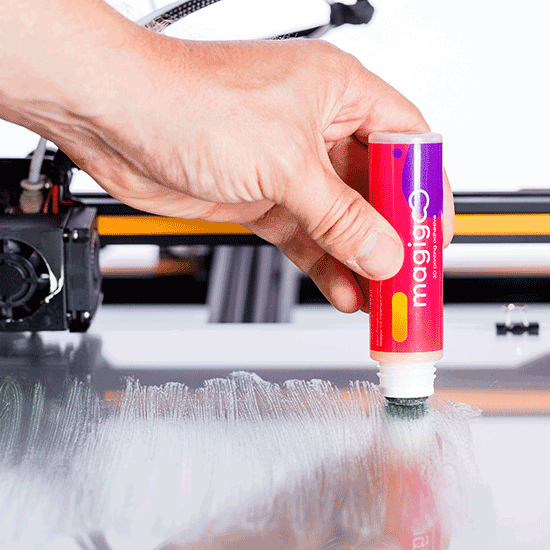 Magigoo’s adhesive properties are designed to release the 3D print once the build plate has cooled. You will hear a distinctive “crackling” sound during the cooling process. 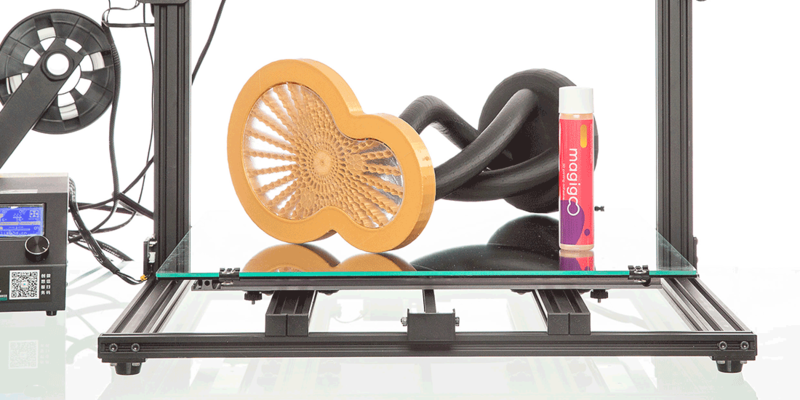 Once cooled, 3D prints can easily be removed without the use of tools or any excessive force. It is extremely rewarding to have a 30 hour print complete without any warping and having it release easily once cooled. Print and print and print some more. 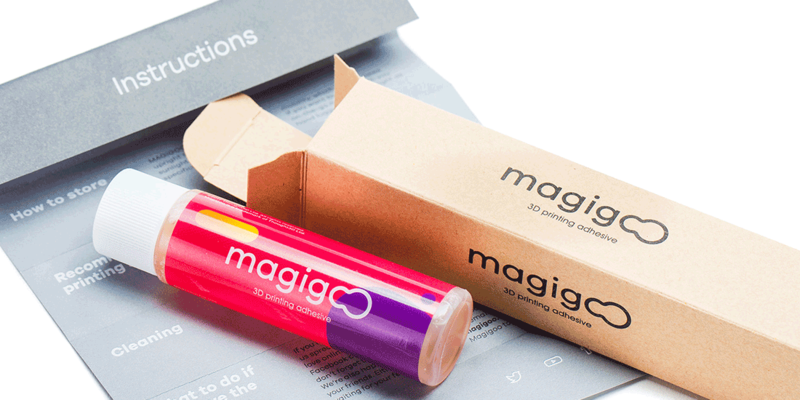 With one Magigoo 50ml pen, you’ll be able to print over a 100 prints. 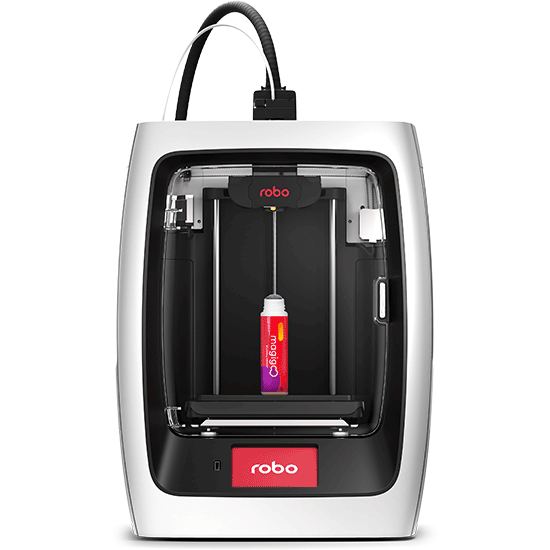 Apply every time for sure adhesion, do not risk a failed print. 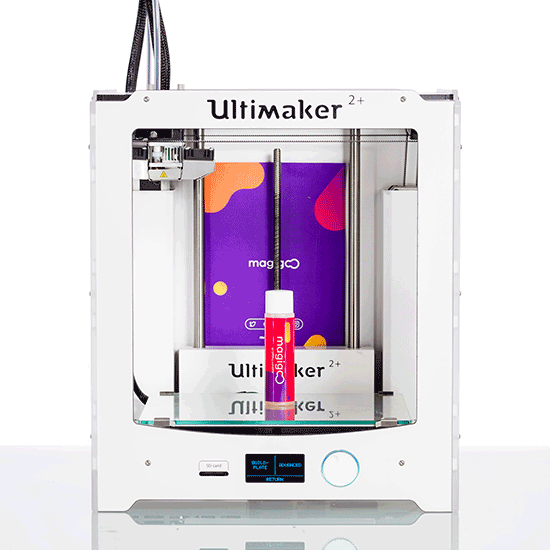 Magigoo works with the most commonly used plastic filaments such as PLA, ABS, HIPS, PET-G and even some brands of Nylon. 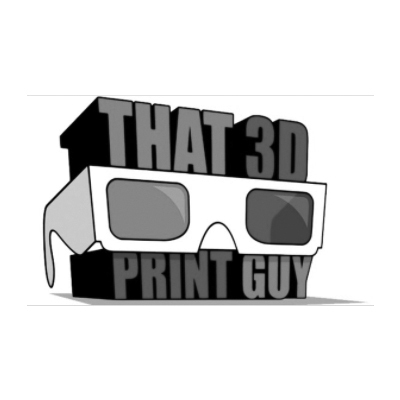 Just a little tweaking to find the best adhesion print settings, for your printer, and your prints will come out perfect, every time.